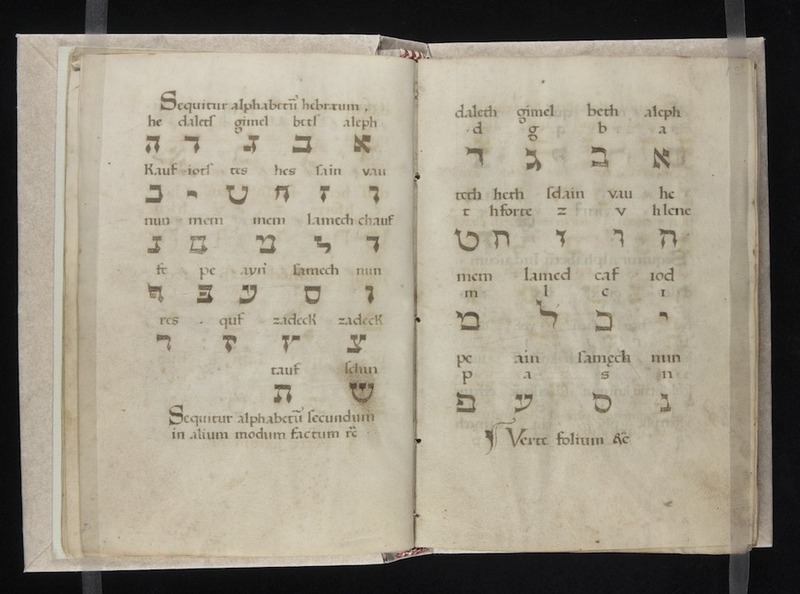 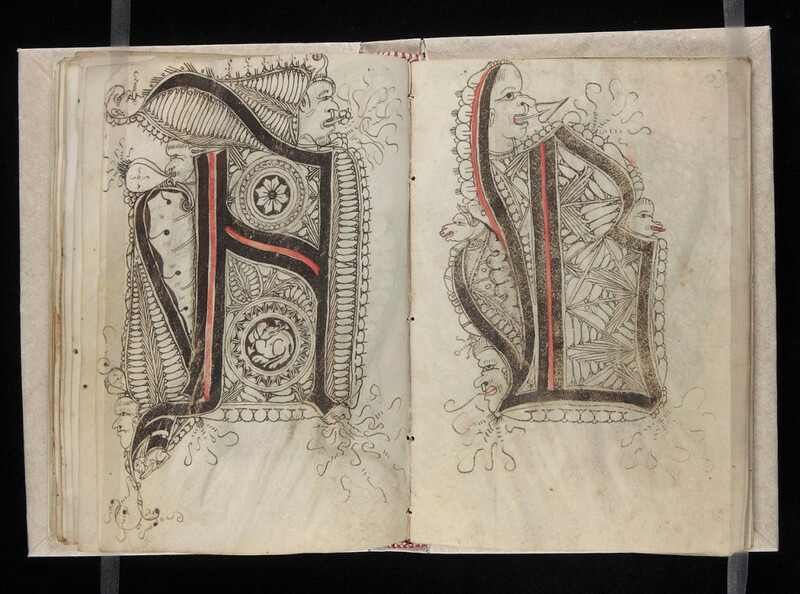 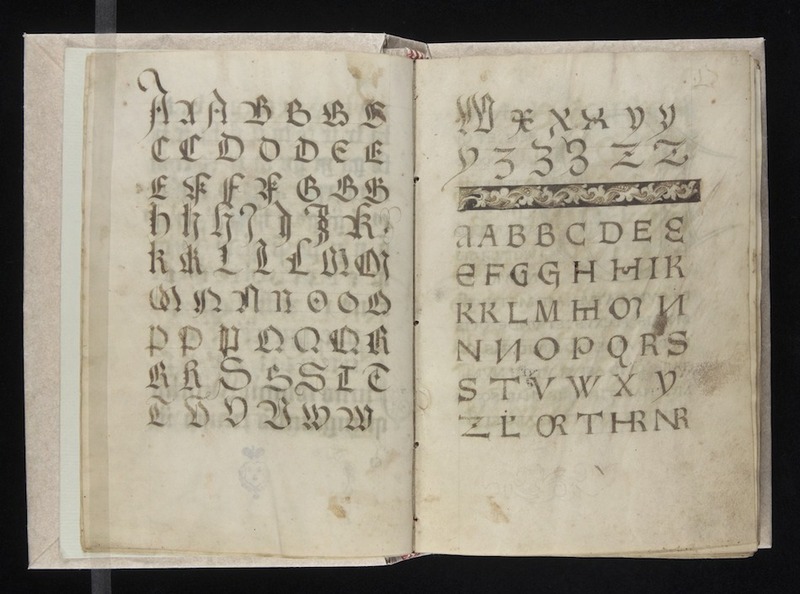 This scribal pattern book – dated to around 1510 from Swabia, Germany – was made by Gregorius Bock and is addressed to his cousin Heinrich Lercher Wyss who was the official scribe of the duchy of Württemberg, most likely put together with the purpose of aiding Wyss in the refining of his art. 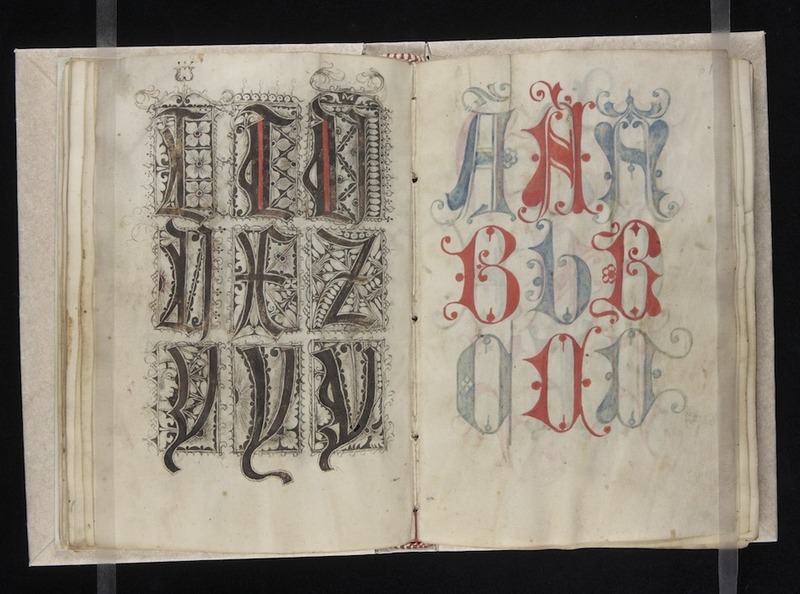 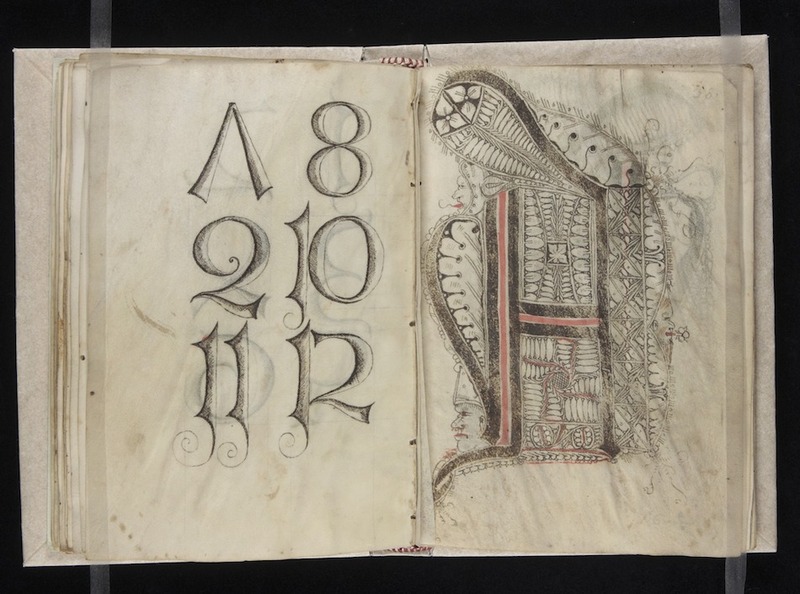 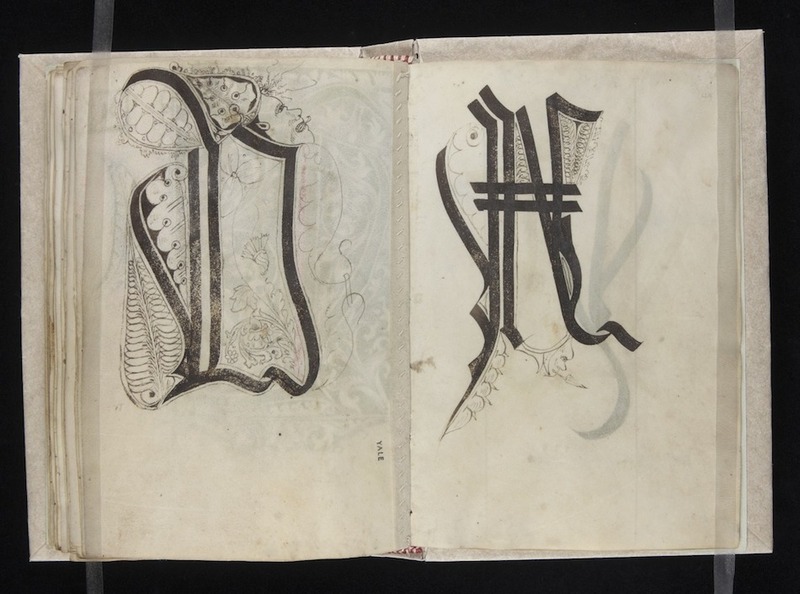 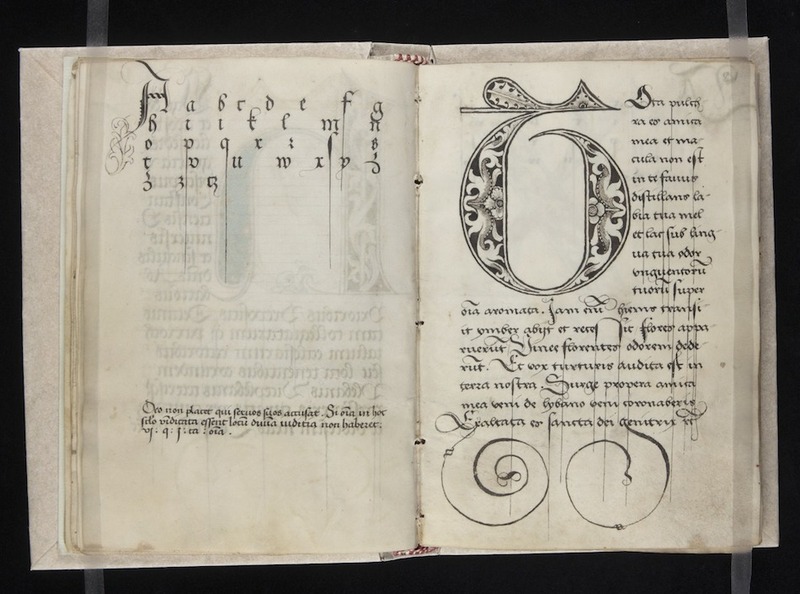 The first part includes alphabets in various scripts with the second part presenting some decorative initials. 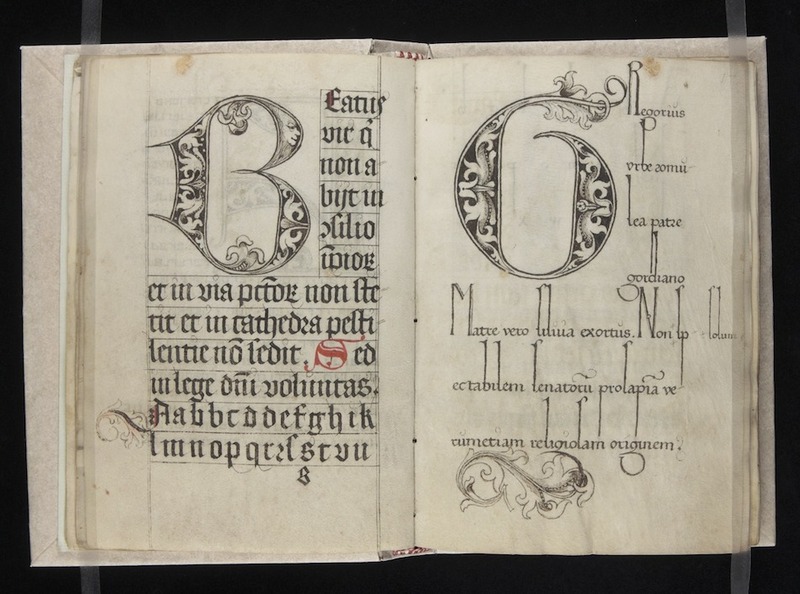 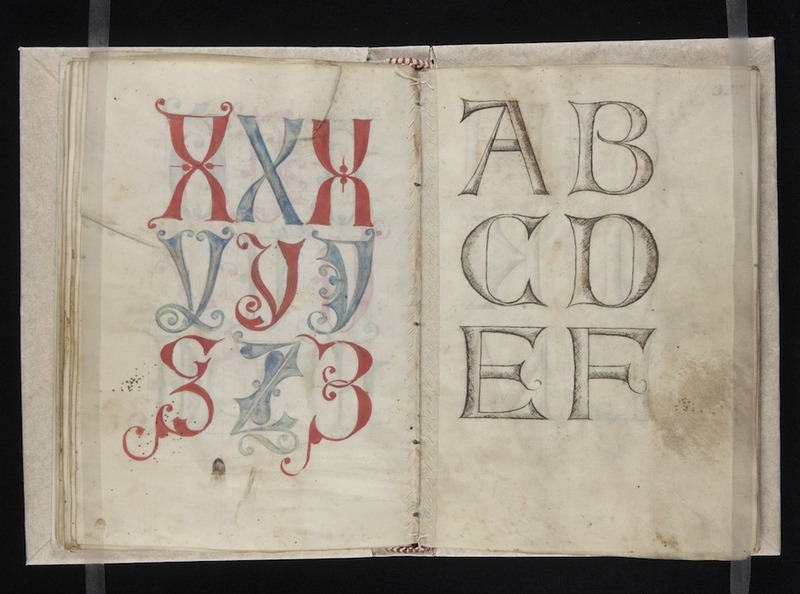 Some of the styles found in the book include gothic textura, round gothic, round humanistic, as well as the unusual inclusion of letters and texts from Greek and Hebrew script. 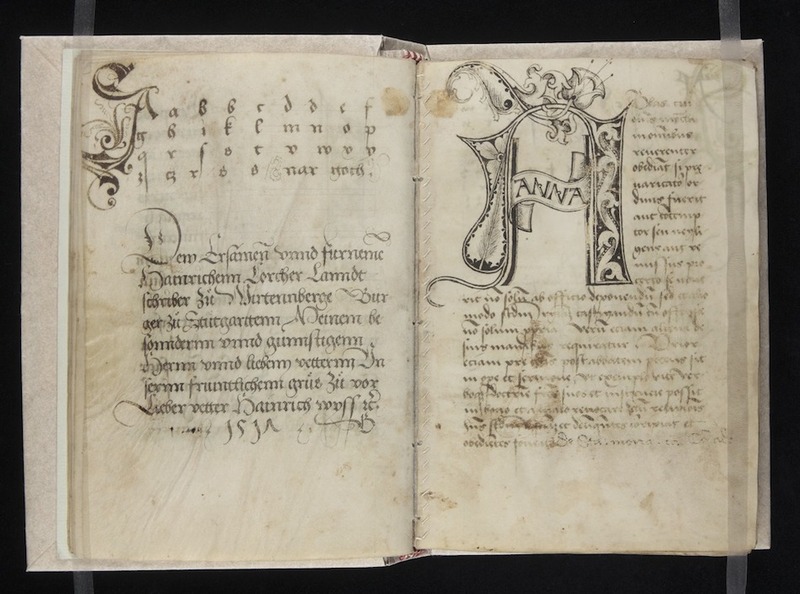 Bock may himself have been a monk in the Benedictine monastery of Ochsenhausen in whose library the manuscript was found.